Secure-Seal is the most cost effective solution for envelopes sealing issues. Whether sealing with a Pitney Bowes, Neopost, Hasler or Francotyp-Postalia (FP) mailing system or any brand of Folder-Inserter, Secure-Seal seals tight every time! Competitive envelope sealing products such as Pitney Bowes EZ-Seal® retail for $59.99/half gallon x 2 = $119.98/gallon. 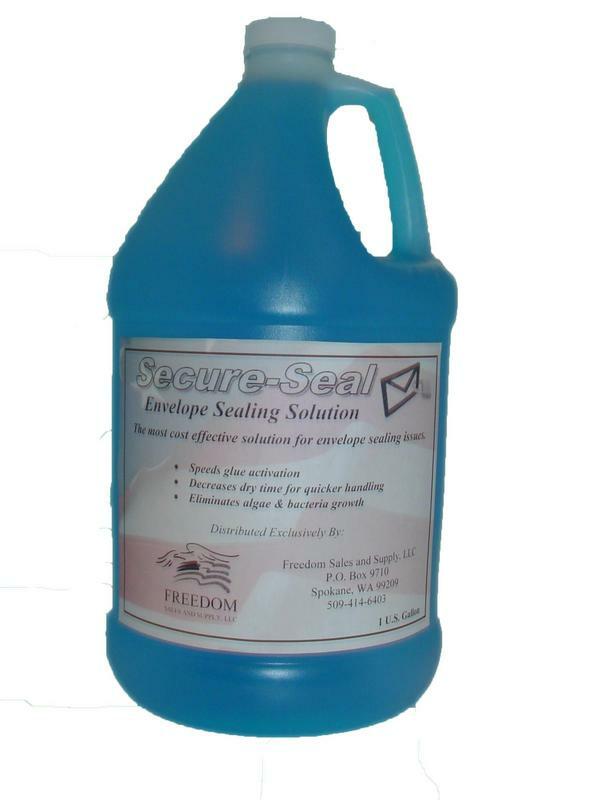 Secure-Seal is distributed exclusively by Freedom Sales and Supply, LLC and is currently available in one-gallon containers. 2+ gallons @ $19.99 ea. Coeur d' Alene, Idaho and surrounding communities. Applicable sales tax not included. Now you have a better choice!